I have written a lot on this subject, but it is one that bears revisiting every election cycle. As I write this, it seems certain that the two nominees for this year’s presidential election will be Donald Trump for the Republicans and Hillary Clinton for the Democrats. In my lifetime I have never experienced anything approaching the madness of the primary process, and the general campaign promises more of the same. So, I hope this review is helpful, since deacons fall into some unique categories on this subject under canon law! One often hears that the reason we clergy are supposed to be impartial with regard to support or opposition to particular political parties, campaigns or candidates is because “the Church” might lose its tax-exempt status. Often, after making such a claim, chest-pounding ensues as the claimant declaims, “Some things are just too important to worry about such things! If we lose tax exempt status, so be it! We have to stand up for what we believe.” In the Navy, we refer to this as the “damn the torpedoes, full speed ahead” response. Here’s the problem. This isn’t about tax exempt status. It is, rather, about the universal law of the Latin Church, which couldn’t care less about our tax exempt status. Another claim holds that “this is my right as an American citizen” to participate publicly in political life. That is certainly true. However, by accepting ordination, the deacon has voluntarily placed himself under the authority of additional legal and moral authority. Namely, how a cleric, and in particular, the deacon participates in political life is now affected by more than the US Constitution. We clergy exist, according to Church teaching (cf. especially Lumen gentium #18) to build up the People of God. Our actions then must be understood with that end in mind: are the words I’m using, the actions I’m taking, the positions I’m teaching all serving to build up, or do they tear down. It is easy in the heat of the moment to let our emotions get the better of us, and especially when the rhetoric surrounding our current political “discourse” is so heated and volatile, we might succumb to the temptation to be just as superheated in our responses. Again, not only does our teaching enlighten us in this regard, so too does our church law, as shall be seen below. However, c. 288 specifically relieves permanent deacons (transitional deacons are not exampted) of a number of the prior canons, including cc. 285 §§3 and 4, and 287 §2, “unless particular law establishes otherwise.” Particular law in this instance is provided by the National Directory on the Formation, Ministry and Life of Permanent Deacons in the United States, which states at #91: “A permanent deacon may not present his name for election to any public office or in any other general election, or accept a nomination or an appointment to public office, without the prior written permission of the diocesan bishop. A permanent deacon may not actively and publicly participate in another’s political campaign without the prior written permission of the diocesan bishop.” The diocesan bishop may also create particular law within his own diocese on such matters. In one case, a diocesan bishop notified his clergy that if anyone could even infer, through their speech, manner or demeanor, which political party or candidate the cleric was supporting, then that cleric had gone too far. While we are each entitled to form our own political decisions for ourselves, we must always be aware of the political lines we must not cross. So where does this leave us? Deacons, although clerics, may participate in political life to a degree not permitted other clerics under the law. However, they are required by particular law in the United States to obtain the prior written permission of their diocesan bishop to do so. I find that two other aspects of this matter are too often overlooked. First, is the requirement under the law that all clerics (and, most significantly, permanent deacons are not relieved of this obligation) are bound by c. 287 always “to foster peace and harmony based on justice.” This is a critical point for reflection for all clerics: How do my actions, words, and insinuations foster such peace and harmony, or are my actions serving to sow discord and disharmony? Since permanent deacons may become more engaged in the political sphere than presbyters (with the permission of their bishop), this will take on particular relevance for deacons. Second is the whole area of participation in political campaigns. Deacons may only participate in their own or someone else’s political campaign with the prior written permission of their bishop. Things are so much more complicated today than in years past, with all of the various social media available. Tweets can replace reasoned response, a Facebook status can mimic a political platform, and even a “like” can raise political tempers. Furthermore, what about the deacon’s family and their rights and obligations to participate fully in the political process? In one common example, what if the deacon’s family wants to put a yard sign supporting a particular candidate in the yard, or to put a bumper sticker on the family car? Today, when political support is often reflected through the social media, all of us might well reflect on how our opinions stated via these media constitute active participation in someone’s political campaign. All of us, lay and cleric, are obliged to participate appropriately in the political process. One would hope that all people, lay and cleric, will want to “build up the People of God” and not tear down! However, as clerics – and in a particularly challenging way, permanent deacons – we have not only a moral obligation to do so, but a legal one as well. This means that we must often walk a fine moral tightrope in doing so. 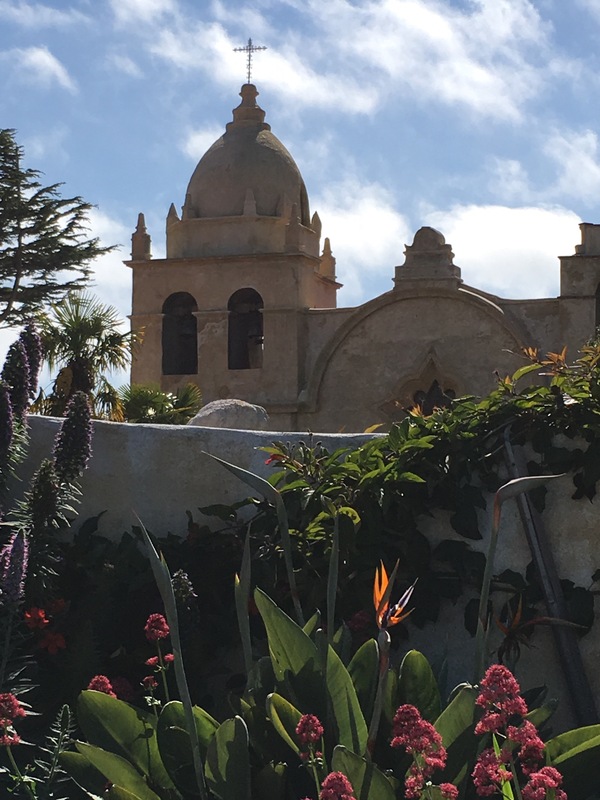 What does an “adult spirituality” look like? I ask this in connection with these short reflections on the formation of conscience, because I think it lies at the heart of the matter. First, I think an adult spirituality is balanced, reasonable and well-integrated. An adult point of view, it seems to me, is found when a person has learned — usually through hard experience — to steer a course between extremes. Consider one simple example. Some people seem naturally disposed to see everything through a negative lens: nothing can ever be done right, some people can just never say anything that is not immediately criticized, and no one can really be trusted. I suppose if one crept along this point of view to its extreme, one would arrive at the home of cynicism. On the other hand, some people are just as disposed to see everything in a positive light: they see the good in what others do and say, giving them the benefit of the doubt. Following this point of view to its extreme, one would arrive at the land of rose-colored glasses. However, the wisdom of maturity would generally find, along with Aristotle, the “golden mean”or, as the ancient Latin has it, “In medio stat virtus“: virtue stands in the middle. Applying this to Pope Francis and Amoris Laetitia: consider some of the online responses one finds everywhere: some people were determined to condemn it even before it was promulgated while others were similarly inclined to “canonize” it, also without reading it. A balanced, reasonable, and well-integrated adult would, of course, read the document and form conclusions both positive and negative. Amoris Laetitia is not Holy Writ; neither is it from Satan. Second, an adult spirituality is honest with one’s self and with others, especially about one’s own limitations. When confronting challenges, an adult comes to know that there are limits to his or her abilities: intellectual, affective, and physical. They come to accept that we all need assistance in a variety of ways. In recognizing their own limitations, the mature adult tends to be more understanding of the limitations of others. This is a key theme of Amoris Laetitia. All are weak in various ways and we acknowledge and work within that weakness; we do not demand that a person first become strong before we work with them. God’s grace and mercy is necessary for all and, as the Holy Father stresses, “true charity is always unmerited, unconditional and gratuitous.” (AL 296) A person does not have to “prove” or “earn” our mercy any more than we have deserved God’s mercy in our own lives. Mature adults understand that. Fourth, an adult spirituality finds God’s presence in all aspects of life. Experience teaches a person of faith that God is active and present even when a person feels alone, abandoned, or powerless. There is a sense of tranquility that comes to a person, even in the midst of suffering, which communicates God’s “accompaniment” (to use one of Pope Francis’ favorite expressions) on that journey. Just as God never abandons us, we are not to abandon others in their own need. The Holy Father spends considerable time in AL reminding us that not only should those who are divorced or in irregular unions are not to feel themselves cut off completely from the church, nor are we to adopt practices and attitudes which convey or support such a feeling of isolation and excommunication. Simply put, God never abandons us, and we cannot abandon others. In much of the criticism of Pope Francis and this Exhortation, one detects the same voice of the “prophets of gloom” which St. John XXIII mentions. I think Pope Francis would agree wholeheartedly with his sainted predecessor that it is still God who is in charge and still “leading us to a new order of human relations” which goes far beyond our poor human attempt to understand fully. Like those earlier critics of the Council, much hand wringing is taking place about “what ifs”: “What if” a pastor just looks for a loophole to let divorced and remarried people back to Communion? “What if” a person doesn’t form their conscience as rigorously as they should? “What if” people abuse this teaching and simply ignore the longstanding teaching of the church? “What if,” indeed. Realistically, will such things happen? Of course they will, and no mature adult would deny that possibility. On the other hand, shouldn’t we adopt a position that we will deal with those situations as they occur, if they occur, and when they occur? In the meantime, as John did with the Council, let’s move forward. “Siempre Adelante!” as Pope Francis challenged us during his homily in Washington, DC. So, in forming our consciences, we do so as mature adults, striving as best we can and with the help of the Holy Spirit, to discern God’s will for our lives. Pope Francis never ceases to challenge us across a spectrum of issues. How we treat the poor, the disenfranchised, the immigrant, even nature itself are all matters of grave moral concern. He reminds us that we best confront these issues through our encounters with one person at a time, by being the hands of God’s own mercy. Pope Francis bases his post-Synodal Apostolic Exhortation Amoris Laetitia (AL) on several fundamental principles, which I hope to examine in future blog posts. Here, however, we consider briefly perhaps the most fundamental: the matter of the individual moral conscience. The expectation of the Church, well expressed by the Holy Father, is that we confront life’s challenges in a morally responsible and mature way. More about that in a moment, but first, what do we teach about the conscience? In the depths of conscience, a person detects a law which he does not give to himself, but which he must obey. Always summoning the person to love good and avoid evil, the voice of conscience when necessary speaks to the heart: do this, shun that. For the person has in his heart a law written by God; to obey it is the very dignity of man; according to it he will be judged. The conscience is a person’s most secret core and sanctuary, in which the person is alone with God, whose voice echoes in his depths. The more right conscience holds sway, the more persons and groups turn aside from blind choice and strive to be guided by objective norms of morality. Conscience frequently errs from invincible ignorance without losing its dignity. The same cannot be said for a man who cares but little for truth and goodness, or for a conscience which by degrees grows practically sightless as a result of habitual sin. So, in summary: we must make every attempt to properly form our consciences, but we are bound to follow our conscience even if later that judgment is found to be in error. Saying that something is “in accordance with my conscience” does not mean that it is necessarily accurate or correct or infallible. It means that we take adult responsibility both for the formation of conscience and our actions taken in response to it. We have long thought that simply by stressing doctrinal, bioethical and moral issues, without encouraging openness to grace, we were providing sufficient support to families, strengthening the marriage bond and giving meaning to marital life. . . . We also find it hard to make room for the consciences of the faithful, who very often respond as best they can to the Gospel amid their limitations, and are capable of carrying out their own discernment in complex situations. We have been called to form consciences, not to replace them. So we arrive at the first point I want to make about the conscience. The conscience is subjective: it belongs to each, individual, human subject. While other persons: family, friends, pastors, bishops, deacons, religious, catechists, scientists and teachers may assist me in the formation of my conscience, ultimately, as Vatican II teaches, I am alone with God in my conscience. Someone else’s conscience cannot serve as — or replace — my own conscience. At Mass, the Fourth Sunday of Easter. John and Jane Doe, longtime parishioners of Holy Trinity Parish, Anytown, USA, join the communion procession, approach Deacon James Jones and receive Communion. How do we assist others in the formation of conscience? Do we get to a point where we “let go” and let them arrive at their own decision in conscience? At what point do I have simply have to mind my own business concerning others? 13 Let us therefore no longer pass judgment on one another, but resolve instead never to put a stumbling block or hindrance in the way of another. 14 I know and am persuaded in the Lord Jesus that nothing is unclean in itself; but it is unclean for anyone who thinks it unclean. First and foremost, read the pope’s document for yourself. Yes, it’s 264 pages long. Yes, it’s not always the easiest thing to read. Yes, it will take time. But it is worth it. Do yourself a favor. Got your attention? Now let me explain. The headlines surrounding a recently-released study scream: “Increasing number of Americans consider Christianity ‘to be extremist'” followed by the quote: “The perception that the Christian faith is extreme,” says Barna Group, “is now firmly entrenched among the nation’s non-Christians.” [Read the full article here.] I am in the process of examining the study, so I will have more to say about it once I’ve finished. However, there is one thing that I believe must be said at the outset: there is no “Christianity”. Here’s what I mean. Tragically, there is no singular, undivided, undifferentiated body of disciples known as Christianity. There are almost as many forms of “Christianity” as there are Christians, so to speak of “Christianity” as a single corporate entity is simply inadequate. Consider only a few examples. We have long had distinctions between expressions of Christianity, East and West. Such variety existed long before the formal break in 1054 AD. On the positive side, Christianity has consistently acknowledged and accepted the simple fact that unity in faith does not necessarily equate to uniformity in practice. The “one faith” can be expressed in a wide variety of ways! Even today, the Catholic Church exists as a communion of some 27 ritual churches, of which the Latin (or Roman) Church is but one. So, within Catholic Christianity can be found these diverse communities of faith all in communion with each other, even though they have different sacramental theologies and even different canon law. So far, so good then: it is possible that “Christianity” lived in such a diverse way can be seen as a united faith. So, today, what IS “Christianity”? Before one can make a claim about Christianity (such as the claim in the article that “Christianity is extremist”) it seems to me you must clearly define some terms, beginning with the question, “Which Christianity are you talking about?” While all Christians can agree (possibly) on the nature and role of Jesus as the Christ, the Messiah of God, and that all Christians see themselves as followers of this Christ, after that things get murky quickly. Consider how inclusivist (“catholic”) or exclusivist various Christian groups can be. One of my own saddest experiences in this regard occurred some years ago when I was still on active duty in the Navy. A good friend was part of the Protestant chapel community on our base. He was participating in the annual Holy Thursday reenactment of the Last Supper, put on by the Protestant chaplains. I went over to help get the apostles into their beards and costumes and stuck around to watch it. Shortly before leaving to go to the Catholic chapel for the Mass of the Lord’s Supper, I watched the beginning of the communion service following the reenactment. The senior Protestant chaplain stood and give directions to the assembly on how to come forward for communion. Ministers of particular denominations would be on other side, and adherents of those denominations were to go to “their own” minister; a “general communion” was being offered down the main central aisle of the chapel, and those who were not in the other two churches could receive in the “general” line. Naturally, of course, it struck me that I was about to head over to our own Mass, during which only Catholics could receive Communion. It left me quite saddened to see — at the moment when you would think Christians could be MOST united — we were the most divided. So, today, we have Orthodox Christians, Catholic Christians, Evangelical Christians, Pentecostal Christians, Non-Denominational Christians, along with other forms of Baptists, Lutherans, Reformed, and on and on and on. Because of many reasons, such as the “world view” distinctions mentioned above, some of these Christians look for everything to be black and white, clearly distinguished. Sin, for example, is sin. Something is either sinful or it is not. There is no gradation in sinfulness: telling a lie (regardless of situation or intent) is as grave as murder. In this view, you are either with me totally and completely or you are against me totally and completely. Other Christians seem to say that anything goes if it’s what you want. You determine everything yourself about what you will choose to believe and so on. Then there are Christians in the middle, who marry philosophy and theology, reason and faith. Given this diversity then, we come to the question raised by the article: Are Christians extremists? That raises the need to define the other term of the argument: How do we define “extremist”? In the list of statements included in the study, I found myself agreeing that some of them certainly reflected “extremism” as I understand it, while others do not. However, ALL them made me think and to reflect, and that is always a good thing. For example, statements such as “using religion to justify violence against others” and “refusing standard medical care for their children” or “refusing to serve someone because the other person’s lifestyle conflicts with their beliefs” certainly bespeak extremism in a negative sense. Others, however, such as “demonstrating outside an organization they consider immoral” [would this include the civil rights marches of the 1960’s as well, I wonder?] or “attempting to convert others to their faith” [depending of course on the methods used!] do not. Read the full study and see what YOU think. LENTEN REFLECTION: As a Lenten reflection, we can all ponder what forms extremism, especially religious extremism, can take. Perhaps it is, like Benjamin Franklin used to say about treason, more easily discerned in others than in ourselves! I offer this post not to start an argument over this particular study, or to offer some kind of societal critique. I offer it simply as a point of departure for a Lenten reflection on how we live out in concrete terms the implications of our faith. “With all of the violence and craziness in the world, why the hell should I get involved with all this make-believe? As we enter another Christmas Season (and remember that for Christians, Christmas Day is just the beginning of a whole season of “Christmas”! ), perhaps we should reflect a bit on why we even care about it. “Christmas” as an event has just become, for so many people, a civic holiday, a commercial opportunity, and mere Seinfeldian “festivus”. 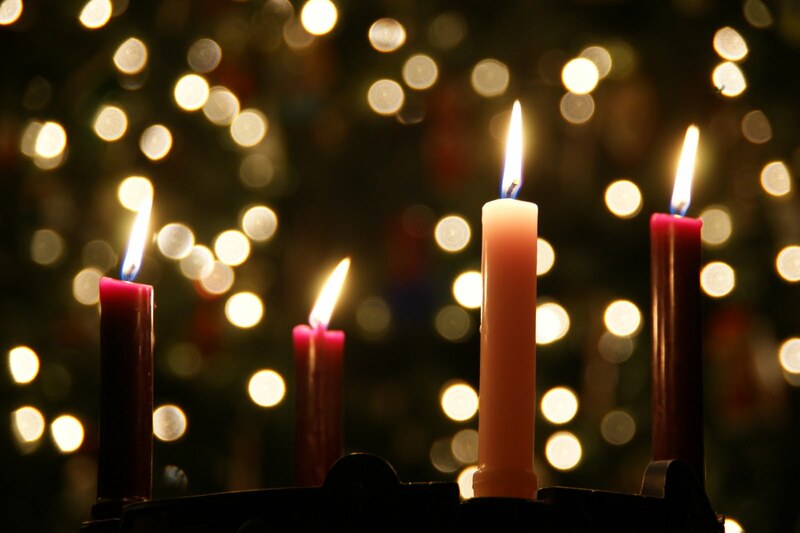 Let’s face it: for many people, “Christmas” is simply something to be endured and survived. Why do Christians care about Christmas? What does it — what should it — mean? Are Christians who celebrate Christmas simply naive children who won’t grow up? In my Advent reflection yesterday on the Hebrew expression “Emmanuel” (God-with-us) I stressed the intimacy of this relationship with God. No matter how we may feel at any given moment, the God we have given our hearts to (which is actually the root meaning of “I believe”) is with us through it all — even when we can’t or don’t recognize it. Think of a child in her room playing. Does she realize that her father out in the kitchen is thinking about her, listening for sounds that may mean that she needs his help, pondering her future? Does she realize that her mother at work in her office is also thinking about her, loving her, and making plans for her future? The love of parents for children is constant and goes beyond simply those times when they are physically present to each other. Christmas celebrates that reality. But there’s more to it than that. God isn’t with us as some kind of superhero god with a deep voice and stirring sound track like a Cecil B. De Mille biblical epic. God “thinks big and acts small” and comes to the world as a weak and helpless baby. As Dietrich Bonhoeffer once wrote, “God is in the manger.” We’ll have more to say about that in a moment. But for now, consider the mistake that many people make. As we get older and set aside childish ways, some people assume that since God is in the manger as a baby, that this makes Christmas simply something for children. How wrong they are! The great scripture scholar, the late Raymond Brown, emphasized this point in his landmark study, “An Adult Christ at Christmas.” If you haven’t read it, I strongly recommend you do so: consider it a belated Christmas gift to yourself! The world into which Jesus was born was every bit as violent, abusive, and full of destructive intent as our own. And yet, consider what Christians have maintained from the beginning. God’s saving plan was not brought about through noble families, through the Jewish high priestly caste, or through the structures of the Roman empire. It wasn’t engaged in Greek or Roman philosophies or religions. Instead we find a young Jewish girl from an ordinary family, her slightly older betrothed (there is nothing in scripture that suggests that Joseph was an older man, so we might assume that he was in his late teens, not that much older than Mary), shepherds (who were largely considered outcasts in Jewish society), foreign astrologers avoiding the puppet Jewish king, and on and on. What’s more, the savior of the world sent by God doesn’t show up on a white charger at the head of mighty army, but as a baby. God enters the scene in all the wrong places and in all the wrong ways. How will this “save” anyone? What should all of this nice poetry mean to us? Paul is explicit. Writing from prison himself, he tells the Philippians: “Be of the same mind, having the same love, being in full accord and of one mind. 3 Do nothing from selfish ambition or conceit, but in humility regard others as better than yourselves. 4 Let each of you look not to your own interests, but to the interests of others.” This self-emptying is called kenosis in Greek, and the path of the Christian, following Christ, is first to empty ourselves if we hope later to rise with him. THIS IS THE VERY HEART OF CHRISTIANITY AND WHAT IT MEANS TO CALL OURSELVES DISCIPLES OF JESUS THE CHRIST: TO EMPTY OURSELVES IN IMITATION OF CHRIST. IF WE’RE NOT DOING THAT WE DARE NOT CALL OURSELVES “CHRISTIANS”! Many people have written about this in a variety of contexts. Here are just a few random examples. Empty yourself: “Suffering and death can express a love which gives itself and seeks nothing in return.” John Paul II, Fides et Ratio, #93. Empty yourself: “The gift to us of God’s ever faithful love must be answered by an authentic life of charity which the Holy Spirit pours into our hearts. We too must give our gift fully; that is, we must divest ourselves of ourselves in that same kenosis of love.” Jean Corbon, The Wellspring of Worship, 107. Empty yourself: “Kenosis moves beyond simply giving up power. It is an active emptying, not simply the acceptance of powerlessness.” William Ditewig, The Exercise of Governance by Deacons: A Theological and Canonical Study. Empty yourself: “It is precisely in the kenosis of Christ (and nowhere else) that the inner majesty of God’s love appears, of God who ‘is love’ (1 John 4:8) and a ‘trinity.’ Hans Urs von Balthasar, Love Alone. Empty yourself: “Satan fears the Trojan horse of an open human heart.” Johann Baptist Metz, Poverty of Spirit. MAY WE ALL “GET” CHRISTMAS THIS YEAR! HOW WILL WE EMPTY OURSELVES FOR OTHERS? Come, and enlighten those who dwell in darkness and the shadow of death. It is no coincidence that today’s Antiphon occurs on the shortest day of the year, the Winter Solstice. The “darkest” and shortest day, with the least sunlight of the entire year. On this day, then, the Church remembers that Christ, the Morning Star extolled in the great Exultet on the Vigil of Easter, brings light back into the world. 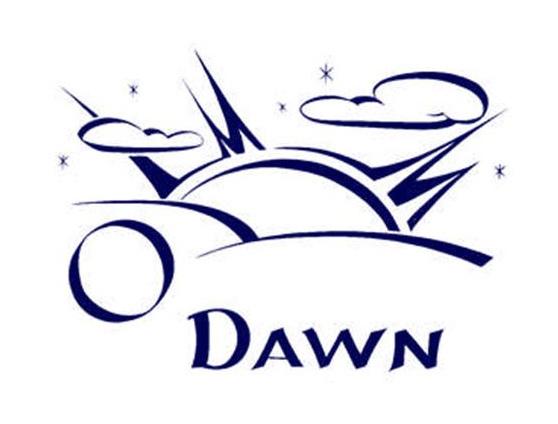 The Latin root of the word “oriens” is “East”, the direction from which the sun “rises.” This explains the various English translations attempting to capture that sense: “morning sun”, “dayspring”, “morning star,” “dawn” and so on. The point is simple and based on Isaiah: “The people who walked in darkness have seen a great light; those who lived in a land of deep darkness— on them light has shined” (Is 9:2). Disillusioned with reality, with the Church and with themselves, they experience a constant temptation to cling to a faint melancholy, lacking in hope, which seizes the heart like “the most precisous of the devil’s potions.” Called to radiate light and communicate life, in the end they are caught up in things that generate only darkness and inner weariness, and slowly consume all zeal for the apostolate. For all this, I repeat: Let us not allow ourselves to be robbed of the joy of evangelization. . . . One of the more serious temptations which stifles boldness and zeal is a defeatism which turns us into querulous and disillusioned pessimists, “sourpusses” (#83, 85). Although these words are focused on pastoral workers, they certainly apply to all people. In today’s world, it is easy to become overwhelmed and discouraged. As the pope reminds us, though, as followers of Christ and proclaimers of the Gospel, we are “called to radiate light” and only in our relationship with Christ and the relationships which flow from that primal relationship, can we truly carry that light into the world. Pope St. John Paul II told deacons and wives in an audience in 2000 that, when they were discouraged they should “throw yourselves into the arms of Christ, and he will refresh you.” In these final days of Advent, no better advice can be given! Are we ourselves discouraged and overwhelmed at this time of year? As Christ the Morning Star enters the world, may we too be illumined and strengthened to bear that light to others. No sourpusses allowed! “The people who walked in darkness have seen a great light. . . .”: Are we, disciples of Christ and heralds of the Gospel, perpetuating the darkness, or sharing the Light?